First time seeing this in my garden. Two of the same size and characteristics located in the web. Bright blue, thin legs and lower abdomen. Silver and black on the top of the abdomen. I think this is a Orchid Orb Weaver, from what I’ve seen it’s pretty neat! 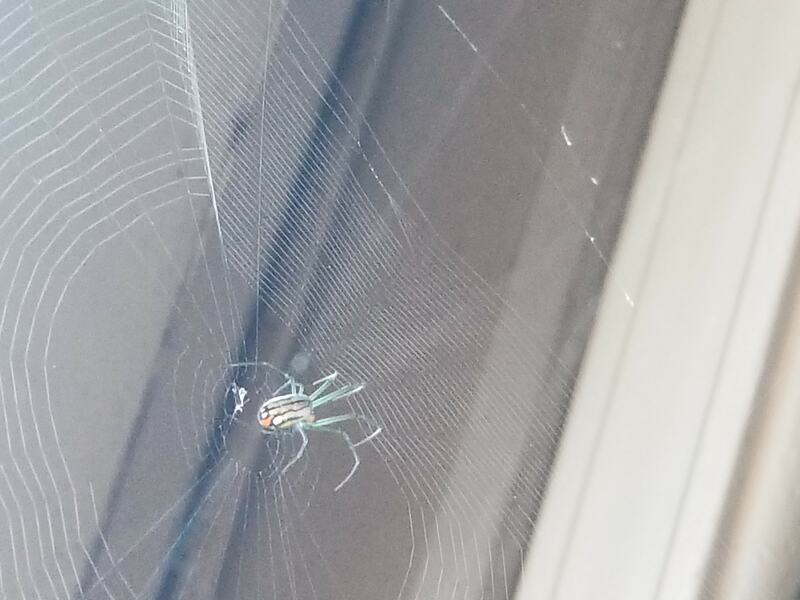 Never have I seen two spiders share the same web.